What is the best budget graphics card for 2019? Today, we’re going to over six of our top picks for best budget GPU. With the recent release of the GTX 16-Series and the falling prices of the RX 500-Series, the sub-$300 market for GPUs has never been better. As long as you’re willing to spend a little more than $100, you’re bound to get a graphics card that offers a strong 1080p gaming experience, and if you’re able to push your budget more, you can even start playing 1440p, VR, and 4K games! If you want the best graphics card for the money, you’re in the right place. We’re going to walk you through your options in this price range, and help you pick the best one for you. If you aren’t too familiar with graphics cards and PC gaming, don’t worry– we’ve also included a buying guide at the bottom of the article to help you understand key terms and the modern GPU hierarchy. With all that out of the way, though…let’s look at our contenders for best budget GPU! If your budget is as tight as it gets, and you just need the cheapest possible GPU, this is what we recommend. The GTX 1050 may not have the best value on the market, but it’s definitely better than any sub-$100 GPU. Compare the RX 550, RX 560, or GT 1030 and you’ll see why this is essentially the least amount of money you should be spending on a graphics card. A further comparison to the RX 570, however, reveals this card’s key weakness: value. While this is still the absolute cheapest GPU we’d recommend-- and it should suffice perfectly fine for 1080p gaming, especially for older titles-- its performance-per-dollar simply does not stack up to the RX 570. For just a bit more money, you’ll get a fairly dramatic boost in performance. If you aren’t a particularly serious gamer and just need a graphics card for media purposes-- or you intend on replacing your GPU very very soon-- then the GTX 1050 is great. If you only care about paying a low price, then this is the best budget GPU that we can recommend. View The Benchmarks (Digital Foundry). The RX 570 is our pick for best value GPU. In terms of performance-per-dollar, this card really can’t be beaten, especially with some of the cheaper models floating around. For this article, we’ve picked a slightly more expensive option that comes with AMD’s Raise The Game Bundle. For those who aren’t familiar with AMD’s Raise The Game Bundle, it’s a promotion running until April 6th. With the RX 570 and 580, you get your pick of two out of three free games: Devil May Cry 5, Resident Evil 2 Remake, and The Division 2. If you’re like many gamers, one or all of these games could be at the top of your wishlist, and if you get in on the promotion while it lasts you’ll effectively be getting $120 in new games for free. 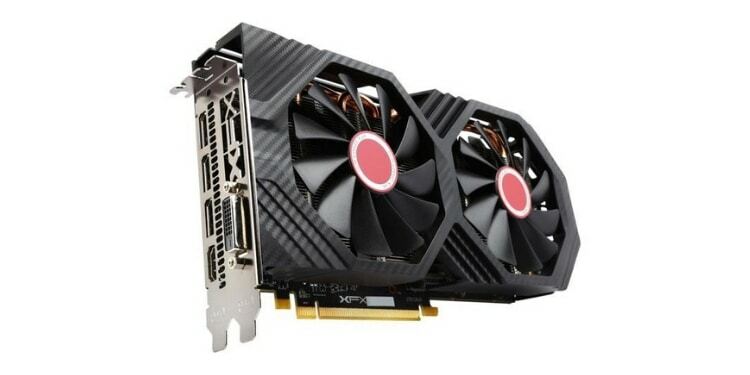 If you aren’t interested in those games and want to save a little bit more money, you can also opt for this card, which is the current cheapest version of the RX 570 that’s available on Amazon. In fact, that’s even the 8GB version, which makes the deal even better! Now, let’s talk about the RX 570 in general. Typically, you’ll see superb performance in 1080p titles at maximum settings. All but the most intensive VR games should be playable as well, with SteamVR resolution scaling being an option for when this card isn’t enough. 1440p is where this card will start looking weaker, especially when compared to the RX 580, in modern games at high settings. In essence, this is pretty much just a 1080p and entry-level VR gaming card. With extensive tweaking, 1440p is possible as well but is mostly recommended against at this level of performance. Even with the 8GB version of this card, it simply isn’t built to push games at such a high resolution-- at least, not with correspondingly high framerates and settings. Like the RX 570 listed above, the RX 580 also benefits from the AMD Raise The Game promotion until April 6th. This means your choice of two games out of Devil May Cry 5, The Division 2, and Resident Evil 2 Remake included for free with any purchase of this graphics card. According to benchmarks, the RX 580 is also capable of running all of these games at 1440p and high-to-max settings, which makes it a great choice for fans of those games. 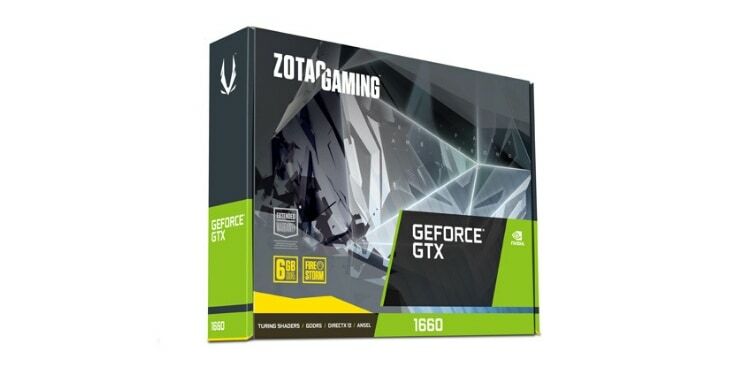 Without the game bundle, the value of this card definitely begins to fall a little short… especially when compared to its direct competitor: the GTX 1660. If you want something that’s a little bit more futureproof, especially if you’re playing with a 1440p display, a GTX 1660 might be a better option. Keep scrolling to hear our opinion on that one. The best overall budget GPU to buy today is the GTX 1660. Like the GTX 1060 before it, the GTX 1660 is Nvidia’s true budget GPU king. In benchmarks, this card beats the GTX 1060 6GB and RX 580 8GB by a fair margin but doesn’t quite catch up to the GTX 1070. This means the card is perfectly-equipped for modern AAA games at 1080p and maximum settings, as well as higher-end VR games and a number of games at 1440p and high settings. 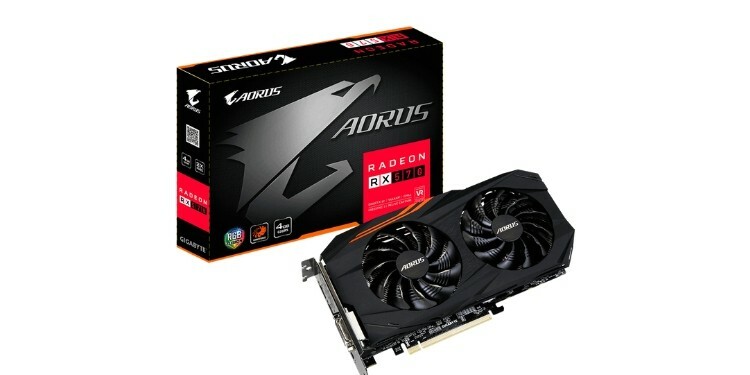 This card generally retails at about $220, too, which means it’s often only slightly more expensive than the RX 580 and is cheaper than many models of that card. Unless the AMD game bundle is something you absolutely need, the GTX 1660 soundly defeats the RX 580 in this price range. Without any reasonable doubt, it’s the best value offering that Nvidia has to offer, and it offers most of the 1660 Ti’s performance at a much better price point. Unlike other Turing GPUs, though, this card does not offer Nvidia RTX features. At least, not with any semblance of good performance. 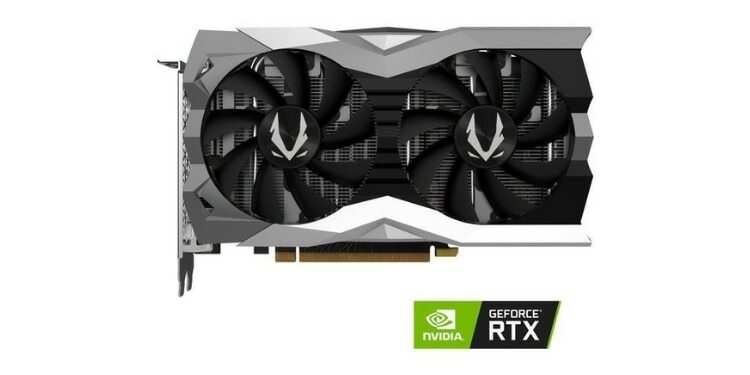 Even at low settings, enabling ray-tracing in games like Metro Exodus or Battlefield V will instantly make games unplayable on this card, which is an intentional ploy by Nvidia to push sales of RTX GPUs. While we’ve praised the GTX 1660 as the best value Nvidia GPU, the GTX 1660 Ti is a different story. 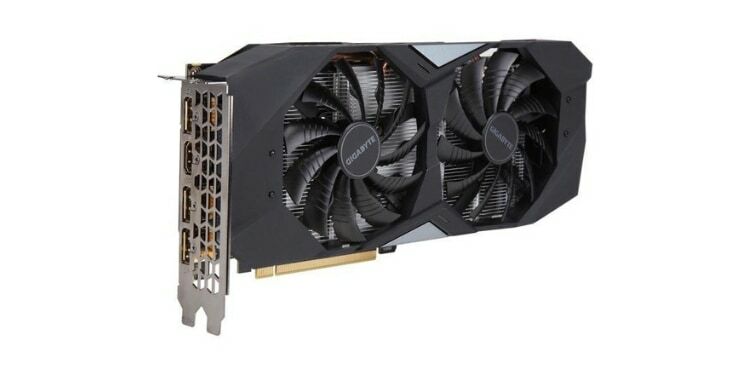 This card is priced much closer to $300 and doesn’t offer a proportionate boost in performance to either the RX 580 or the GTX 1660. If you’re willing to spend just $50 or so more, you could get the RTX 2060 instead, which would serve as a much more powerful and future-proof GPU. At that point, though, you’ll have spent over $300 on your GPU-- not exactly “budget” by most standards-- and if that jump isn’t enough for you, the GTX 1660 Ti may just be the right compromise for you. The GTX 1660 Ti has great performance in 1440p and VR games. 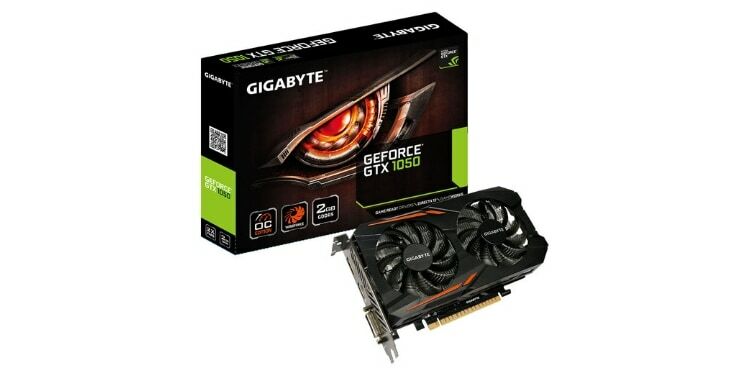 1080p gaming isn’t even a question with this card, especially with the GDDR6 memory in tow. No question: you’ll be able to blast through modern games at 1440p with this GPU, and may even be able to push some as high as 1800p. If your GPU budget has a hard limit at no higher than $300, then this is the best card for you. The Nvidia GTX 1660 Ti may not offer the best performance-per-dollar, but it is still the best graphics card under $300. Last but not least is the RTX 2060, our pick for best budget ray-tracing GPU. Yes, yes, we know. A ~$350 price point isn’t exactly “budget” by most definitions. However, this is the cheapest card that you’re going to get ray-tracing with so that still makes the budget moniker fitting in this context. In our opinion, there are two value hotspots in the sub-$400 GPU range. These hotspots are found in the RX 570, and the RTX 2080. The RX 570, as we discussed before, is easily the value hotspot for 1080p gaming. If all you’re playing at is 1080p, then the RX 570 should do a fine job for at least a few more years to come. The RTX 2060 is the value hotspot for 1440p gaming. The RX 580 and GTX 1660/1660 Ti will need to make compromises in order to hit 1440p60 in the most intensive games. Without ray-tracing, the RTX 2060 will be able to cream games played at a 1440p resolution. (Which makes sense-- it’s even more powerful than the last-gen GTX 1070 GPU, which was already a 1440p powerhouse.) All of this makes the RTX 2060 the best value graphics card of 2019. Real-time ray-tracing is still a significant performance hog, so if you enable that feature, you’re only going to be able to play games at 1080p and max settings. Without ray-tracing enabled, however, resolutions like 1440p, 1800p, and even native 4K can be pushed in most games while maintaining FPS at or above 60. If you want a high-end GPU but balk at a high-end price tag, then the RTX 2060 is the clear winner, providing most of the performance of its older brothers without such a steep price penalty. When looking for the best budget video card, there are a number of different factors to take into account. If you didn’t understand any of the specifications given in the article above, or you just want a refresher on what they all mean, we’ve provided this section as a buying guide for your reference. Keep reading for a breakdown on each of the key specs we’ve provided, and what they mean to you as a consumer. GPU Size refers to two different measurements. There’s length, in exact millimeters, and width, measured in slots. Slots refers to both the PCI Express slots that a GPU is inserted into and the slots in the chassis, while length refers to how far into the case the graphics card extends. Of these two measurements, GPU length is the one that is more likely to cause compatibility issues, especially in a Micro ATX or Mini ITX PC build. Width is really only ever a concern if you plan on installing additional expansion cards, which has become much less necessary with improvements in motherboard I/O and USB adoption. In any case, be sure to check GPU clearance measurements against those provided by the case manufacturer in specs. You wouldn’t want to buy a massive graphics card that you find out doesn’t fit on the day you’re assembling your build! GPU architecture refers to the technology your GPU is built around. Every card in a certain GPU series will be built with the same architecture, starting with a “pure” version at the highest end. Understanding these will help you better understand the graphics card hierarchy. The RX 580, for instance, launched as the best AMD Polaris GPU. The lower-end RX 500-series cards that released later were really just trimmed-down versions of the 580’s Polaris, but ultimately shared the same architecture. Thanks to this, the RX 570 was able to achieve much of the performance as the RX 580, but at a lower price. AMD Polaris – Used by the RX 500 series, iterative upon past generations. AMD Vega – Used by the RX Vega series and the Radeon VII, known for utilizing HBM2 and serving double duty as gaming and professional cards. AMD Navi – AMD’s next-gen architecture, due to debut later in 2019. Likely to replace Vega and Polaris entirely. Nvidia Pascal – Nvidia’s last-gen architecture, used by the GTX 10-Series. Nvidia Turing – Nvidia’s current-gen architecture, enabling features like real-time ray-tracing in the RTX 20-Series. The GTX 16-Series is also based on this architecture, but without the extra processing cores for ray-tracing features. Clock speed isn’t very useful as a method of comparing different GPUs, especially not across different architectures. If you’re familiar with CPUs, it’s pretty much the same here: clock speed is generally only effective at comparing GPUs with the same architecture. In some cases, clock speed may only be useful for comparing different models of the same GPU, which further complicates matters. A reference design of a graphics card is one released by the manufacturer as a baseline for others to work with. Nvidia and AMD both release reference designs, which are then iterated upon by companies like MSI and EVGA. These new designs use aftermarket coolers and may even result in shorter or longer cards, as well as higher out-of-box clock speeds. When a card ships with an above-reference clock speed, this is referred to as a factory overclock, and you will find it is very common in the GPU market. VRAM refers to the memory used exclusively by your graphics card. This differs from standard memory, or RAM, used by the rest of your PC in a few key ways. VRAM is mainly used for dealing with high resolutions, post-processing effects, and high-fidelity texture streaming. The more VRAM you have, the better your card will be at handling these things… as long as your card can keep up. The type of VRAM used can also be an influencing factor here. GDDR5 – Used by AMD Polaris and Nvidia Pascal GPUs. GDDR5X – Used by high-end Nvidia GPUs and low-end Turing GPUs. GDDR6 – Used by midrange and high-end Nvidia Turing GPUs. HBM2 – Used by AMD Vega cards and high-end Nvidia GPUs. 2GB – Suitable for 720p and 1080p in most scenarios. 4GB – Suitable for 1080p and 1440p in most scenarios. 6GB – Suitable for 1440p and VR in most scenarios. 4K needs GDDR6 or better. 8GB – Suitable for 1440p, VR, and 4K. The underlying GPU will need to be powerful enough to keep up, though. In general, if you see two versions of the same card and one version has more VRAM go with that version. It’ll futureproof your system just a little bit more. When we talk about how each GPU performs, we’ll be mainly referring to its resolution and FPS, or framerate. Below, we’ll provide some explanation for common figures. Additionally, note that the FPS you can actually see is limited by your display. Most displays only display up to 60 Hz, or 60 FPS. The same applies to resolution, though this is measured the same by games and displays. 720p and 900p (HD) – HD resolutions, targeted by consoles and very low-end GPUs. 1080p (Full HD) – Full HD, and the minimum resolution targeted by the GPUs on this list. This is where the PS4 and Xbox One usually try to stay in games. Looks great on a TV, but just okay on a monitor. 1440p (Quad HD) – Common target for midrange PCs. Some PS4 Pro and Xbox One X titles upscale from this resolution to achieve 4K. 1800p (Quad HD+) – Common target for midrange to high-end PCs. PS4 Pro and Xbox One X also upscale from here. This is where most cards on this list cap out. 2160p (4K Ultra HD) – The dream for high-end PCs. PS4 Pro and Xbox One X will rarely if ever, achieve a true 4K resolution in their games. Only one card can sort-of play at this resolution. 30 FPS – Anything below this is considered unplayable. Not smooth, but not jittery either- just okay. 60 FPS – Smooth, and the smoothest that a 60 Hz refresh rate display can show. The ideal target in most scenarios. 100 FPS – Very smooth- a common compromise made by those with high refresh rate displays, who want smoother gameplay without totally sacrificing visuals. 120 FPS – Ultra smooth. 144 FPS and higher – As smooth at it gets. In this section, we’re going to list a few common terms you might see tossed around in this article and in product reviews elsewhere. V-Sync – V-Sync is used to prevent screen tearing when a game’s framerate exceeds a display’s refresh rate. This comes at the penalty of performance loss and more input latency. G-Sync and FreeSync – An improved version of V-Sync, corresponding to Nvidia and AMD, respectively. Requires a compatible monitor to function properly. Upscaling – The practice of rendering at a lower resolution and upscaling to a higher one. This is used by the upgraded consoles to achieve a 4K image, and is an option in many PC games. However, an upscaled image will never look as a good as a true, “native” image. AA (Antialiasing) – Used to remove jagged edges from an image. Especially common and necessary at 1080p and lower resolutions, but becomes less of a hard requirement at higher resolutions. SLI, NVLink, and CrossFire – Multi-GPU technologies that have mostly fallen out of favor and support. The first two are Nvidia, the third is AMD. NVLink is the best of the three, but only supported by the highest-end Nvidia GPUs. DLSS – An Nvidia-exclusive technology used by RTX GPUs. A form of anti-aliasing fuelled by AI deep learning, allowing far better image quality in supported games.